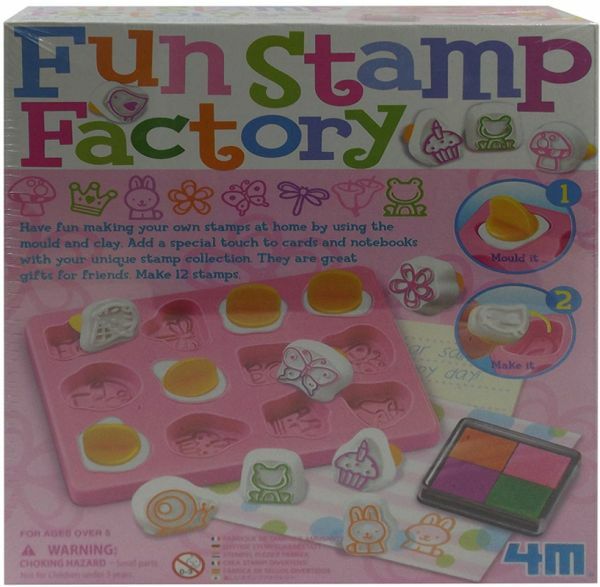 Have fun making your own stamps at home by using the different moulds and clay. Add a special touch to cards and notebooks with your unique stamp collection. They are great gifts for friends. 1 stamp pad with 4 colours and detailed instructions.